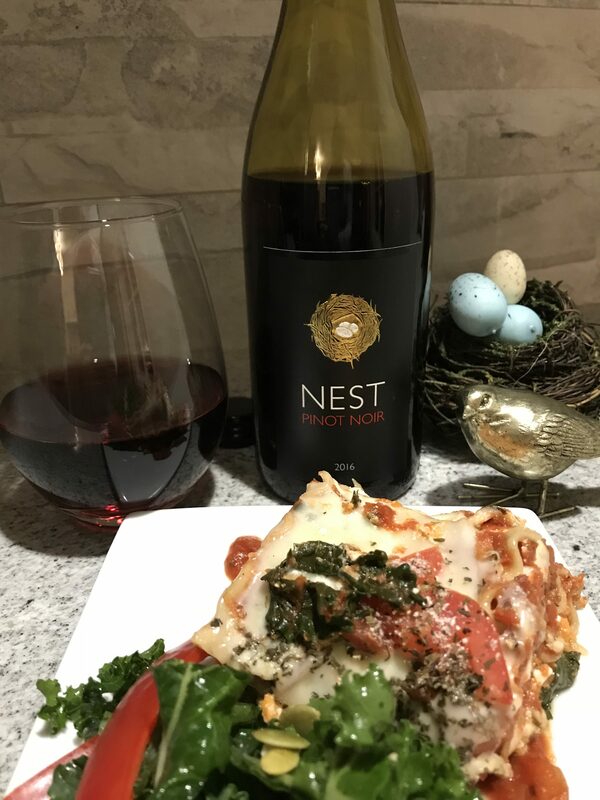 Pelee Island Winery 2016 Nest Pinot Noir with Sweet Potato Spinach Lasagna. Later winter…welcome spring with Pelee Island Nest Pinot Noir! TASTING NOTES: Ruby-red in colour. The nose will bring a raisin nuance to the ripe, soft red cheery aromas and graceful cinnamon opulence on the palate. Pair with: Wild mushroom and burrata bruschetta, roasted glazed ham, grilled salmon with sweet onions and red bell peppers or beef tenderloin with ancho and fennel seeds.